Beer and peanuts just go together. 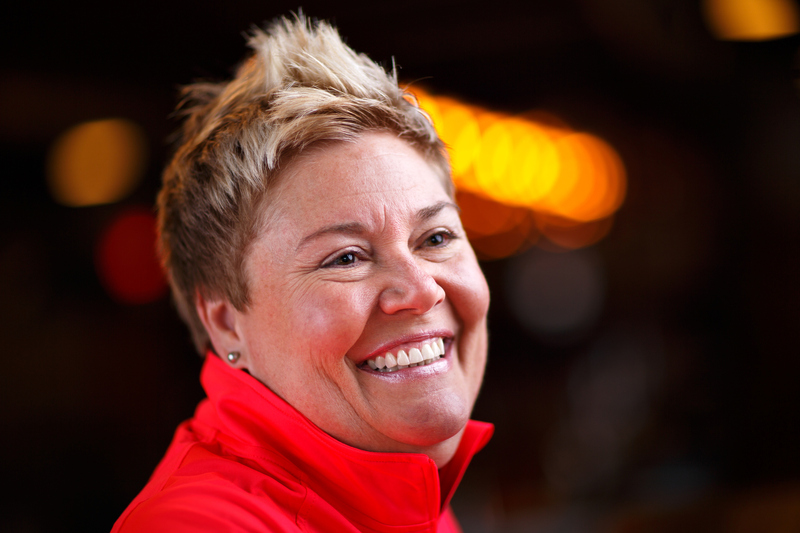 Melissa Wallace, 51, loved the craft beer scene and wanted in. 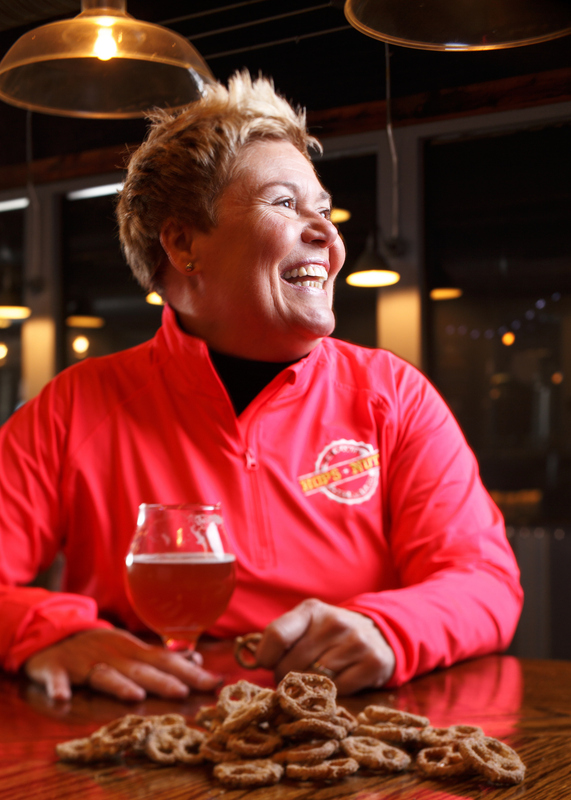 After going through the Launch Lab, in 2014, she started her business, Hops and Nuts, with the intent of providing top quality peanut snacks to pair with craft beers. 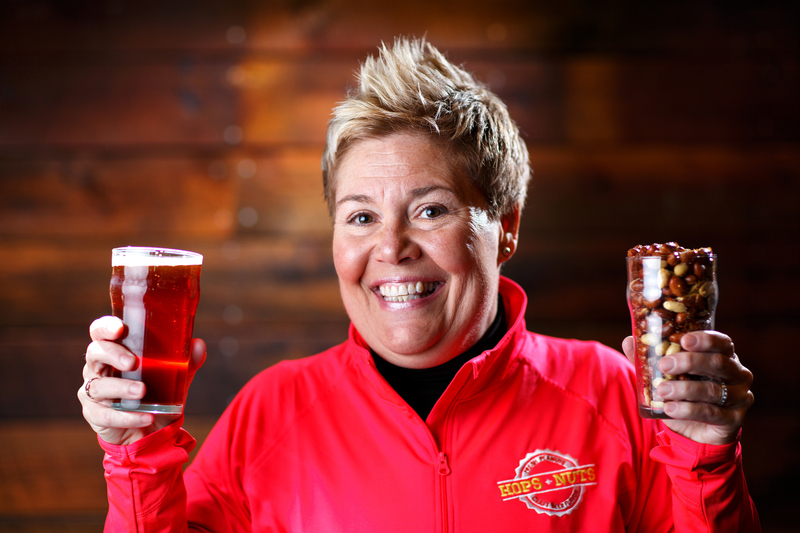 Hops and Nuts has identified the major genres within Craft Beer and have created a healthy snack that compliments those flavors. The peanuts are all farm fresh extra-large North Carolina redskin peanuts and coated with their signature craft beer flavors using local source ingredients when possible. The company offers seven peanut flavors including Lager-N-Lime, Toasted Amber, Peppa Nut, Beer Salt Roasted, Shuga Heff Nuts, Shuga Hop Double IPA and Chocolate Porter. In addition to peanuts, Wallace will soon be launching BREWZELS, craft beer flavored pretzels. Wine and cocktail enthusiasts aren’t left out either with a new product line offshoot called The Tasty Nut, a premium Bar Cart product. The Tasty Nut Savree Herb goes with a white wine and cocktails, while the Vineyard Red pairs well with any red wine. Hops and Nuts is not just a prized snack in Greensboro. It was nominated for Garden and Gun Magazine’s “Made in the South” awards as well as recognition from Southern Living Magazine. Hops and Nuts products are currently sold in breweries, bottle and growler shops, wineries and specialty retailers in North Carolina, Tennessee, South Carolina, Georgia, Florida and Virginia.